The Los Angeles Kings have added three young players to their lineup, having signed defensemen Christian Folin and Stepan Falkovsky and goalie Cal Petersen. 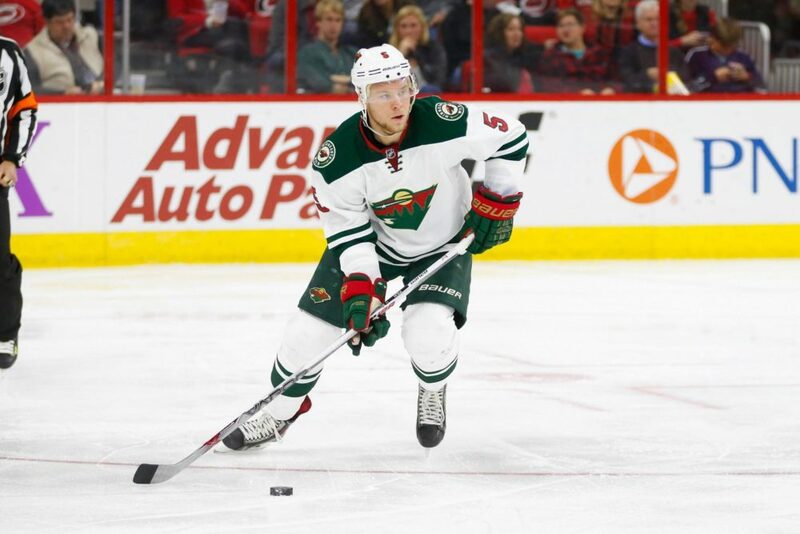 Swedish defenseman Christian Folin will enter the 2017-18 season as his eight seasons in North America, after playing at the USHL, NAHL, NCAA, AHL and NHL level. Originally signed in the NHL from UMass by the Minnesota Wild, he has amassed a total of 118 NHL games so far, scoring four goals and 23 points. Folin has signed a one-year deal with the Kings with an AAV of $850,000. The native of Kungsbacka, Sweden, played 51 games with the Wild last season, scoring two goals and eight points and being plus-10. The big-size (6’3″, 214 pounds) defenseman will be an interesting option as a right-handed defenseman for Los Angeles, who may take good advantage of his defensive-zone skills and competence. With Folin, the Kings will get a competent defenseman for the lower pairings with a limited cap hit. The Belarus-native defenseman had a very good 2016-17 campaign in the ECHL with the Adirondack Thunder. He scored 21 goals in 54 games, but apparently, it wasn’t enough to get an offer by the Calgary Flames, who drafted him in the seventh round of the 2016 NHL draft. Falkovsky, 20, was signed to an entry-level deal and will most likely start the 2017-18 campaign in the AHL with the Kings affiliates Ontario Reign. After moving from his native Belarus in 2015 to play in the OHL with the Ottawa 67s, Falkovsky may have found his team in the Kings, who will try to get the best from his huge frame and big shot from the point. While having some good potential as point man, Falkovsky is still a bit rough and will definitely need some seasoning in the AHL to improve his chances to get a full-time spot in the NHL in the future. One of the top goalies available off the NCAA market, Cal Petersen was signed by the Kings to a two-year, entry-level deal. Petersen opted not to return to Notre Dame for his senior year to start playing pro hockey with the Ontario Reign of the NHL for the 2017-18 season. A native of Waterloo, Iowa, Petersen had a very good 2016-17 season in Notre Dame, appearing in 40 games and posting good stats, like a goals-against average of 2.22 and a saves percentage of .926. At the end of the season, he was called by Hockey USA to represent the country at the IIHF World Championship, but ended up not playing any game for the United States. Petersen will need some seasoning in the AHL to gather experience before getting a legit shot at being an NHL goaltender. He will have a good chance to learn from veteran goalie Jack Campbell.